Fabrice Jumel is professor assistant in CPE Lyon (Engineering School). He is at the head of the robotic of service specialty . 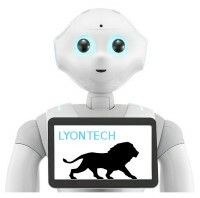 He is a member of the CHROMA INRIA team of the CITI Lab (Cooperative and Human-aware Robot Navigation in Dynamic Environments). He like Robocup and Robocup like competitions. He is team leader of a robocup@home team and was previously team leader of robocup@work one. He’s more precisely involved in social navigation, fleet of robots, robot assistant for elder or disease peoples.